After the Dodgers got eliminated by the Cardinals, I was feeling very down. I had driven to work because I was planning attending the Baseball Reliquary event at the Burbank Library “Dock Ellis and the Swinging 70’s.” I drove feeling depressed and not sure if I wanted to be around people but I drove there getting there just before the event started. 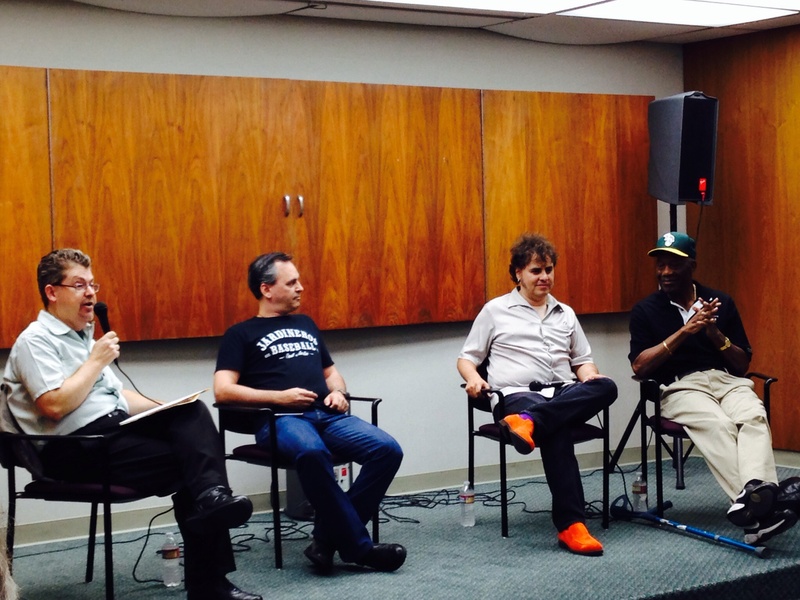 From left to right, Baseball Reliquary Executive director, Terry Cannon with the panel of speakers of Jeffrey Radice, co-producer and director of “No No: A Dockumentary”; historian and journalist Dan Epstein; and former big leaguer Jim “Mudcat” Grant. Mudcat told me about an exhibition games in the south, They had landed in New Orleans, where blacks were not permitted in the airport lobby or to wait for cabs alongside whites. They had to wait on a grassy hill to wait until a black cab would arrive. The luggage would invariably be brought to the white hotel. The black players would get to the homes where they could stay. They would draw straws on who would go to the white hotel to retrive their luggage. In once such incident, the Indians were playing the Boston Red Sox in New Orleans and Mudcat’s straw had come out short. When Grant went to retrieve the luggage, he was stopped by a hotel baggage handler who refused to allow him into the hotel. He told him that blacks had no business entering. While discussing the situation with him, Grant saw Ted Williams entering the lobby. Williams walked over to Grant and asked what was happening. “Well, you know we cannot stay at this hotel,” said Grant. “I know. It’s a terrible shame,” said Williams. ”This man will not let me come in to get my bags that were sent here,” said Mudcat. Mudcat signed my baseball. Loved the hat he was wearing! part of the pictures Mudcat was showing us. In the picture Mudcat, Larry Doby and Satchel Paige. If you are a baseball fan, I highly recommend you to join the Baseball Reliquary. The annual fees are $25. Go to http://www.baseballreliquary.org for more information. Reliquary executive director Terry Cannon getting things started. Too bad I missed taking a picture with the annual cowbells ringing. everyone is encouraged to bring a cowbell to join the ringing. Jerry Pritikin, also known as Bleacher preacher, the 2014 Recipient of the Hilda Award. The Tony Salin award is giving to individuals for their commitment to the preservation of baseball history. 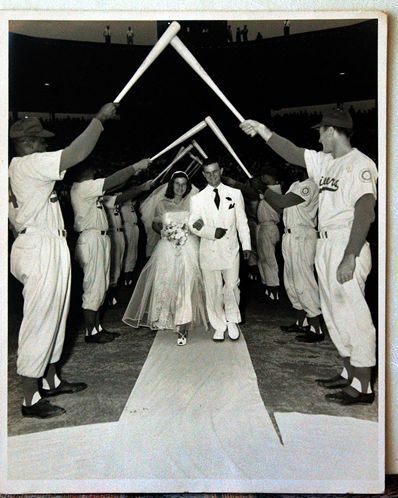 Jerry Cohen founded Ebbets Field Flannels received the award. 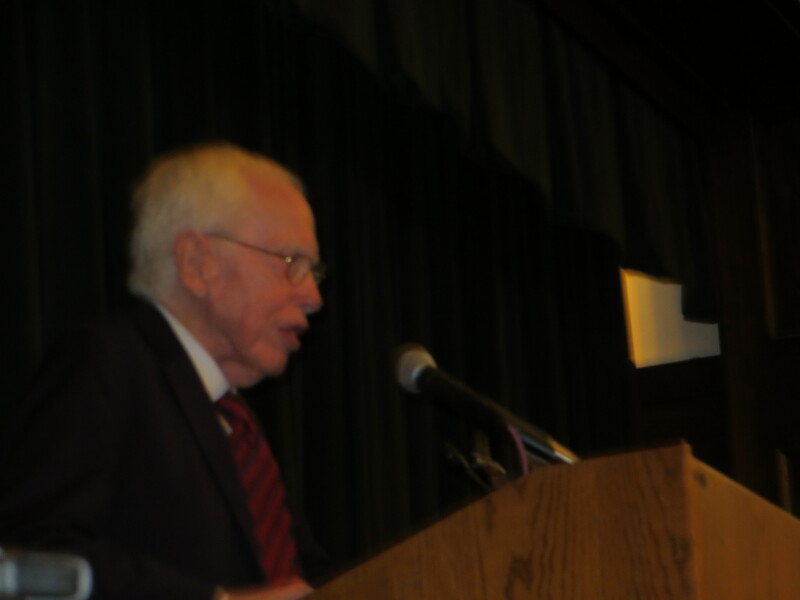 the keynote address was delivered by Joseph L. Price, a professor of religious studies at Whittier College whom has taught courses and published numerous essays on the subject of sports and religion. 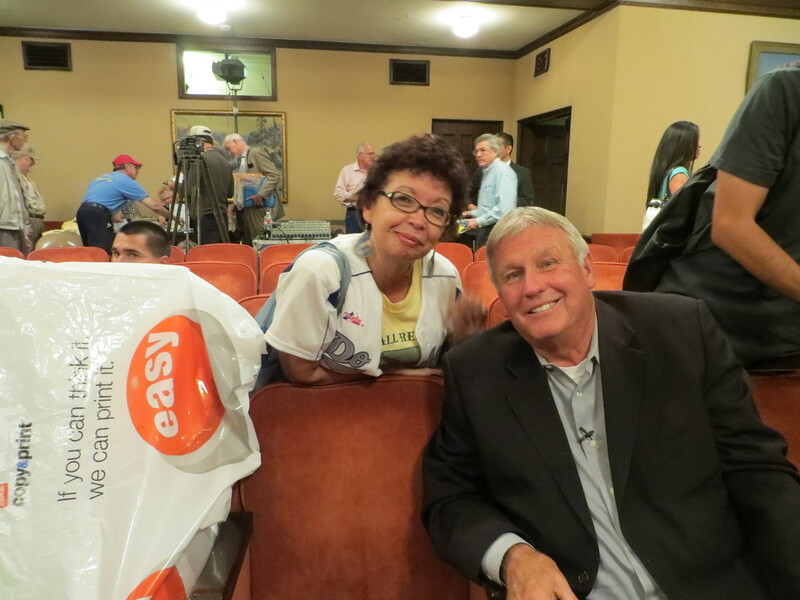 Writer and historian John Schulian did a wonderful presentation of Dizzy Dean. Nephew Sandy Dean could not attend due to a good baseball reason so Terry Cannon accepted the award. 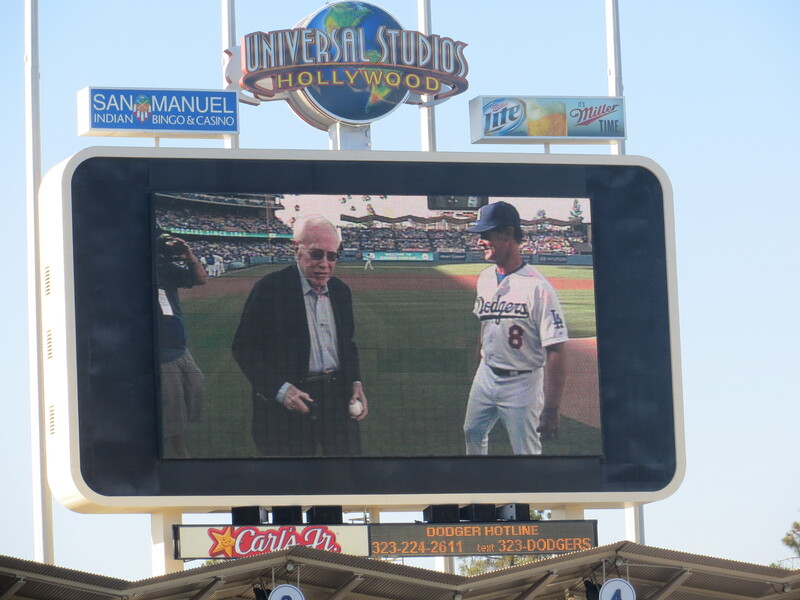 Dodger Historian waiting his turn to talk about Don Zimmer and present the award to Jean “Zoot” Zimmer. Peter Dreier, the Dr. E.P. Clapp Distinguished Professor of Politics at Occidental College, introduced the induction of Rachel Robinson, which was accepted by her sister-in-law, Delano Robinson. After earning her master’s degree, Rachel worked as a nurse-therapist and researcher at the Albert Einstein College of Medicine in New York. Delano Robinson, sister-in-law of Jackie Robinson. wife of Olympian Mack Robinson accepting the award for Rachel Robinson. Rachel was hired as a riveter at the Lockheed Aircraft factory in LA, where they made airplanes for the war effort. She worked the night shift, drove to UCLA at dawn, changed clothes in the parking lot, and then went to class. To encourage women to take factory jobs during the war, the federal government created an iconic figure – “Rosie the Riveter” – whose image adorned this famous poster. Afterwards a large group of us went to dinner. The 2014 and 2013 Recipients of the Hilda Award. Today is the day of the Baseball Reliquary Hope of the Eternals Induction Day! I am heading that way soon! The recipient of the 2014 Salin Award is Jerry Cohen, who founded Ebbets Field Flannels in 1988, a Seattle, Washingt…on-based company which manufactures historically-inspired athletic apparel, ranging from handmade reproductions of vintage flannel baseball jerseys to T-shirts, baseball caps, and even grounds crew jackets and sweatshirts, all made with a high level of craftsmanship and respect for authenticity. Our talented John Schulian will usher in Dizzy Dean into the Baseball Reliquary Shiren of the Eternals. pictures at Dodger Stadium taken by me. 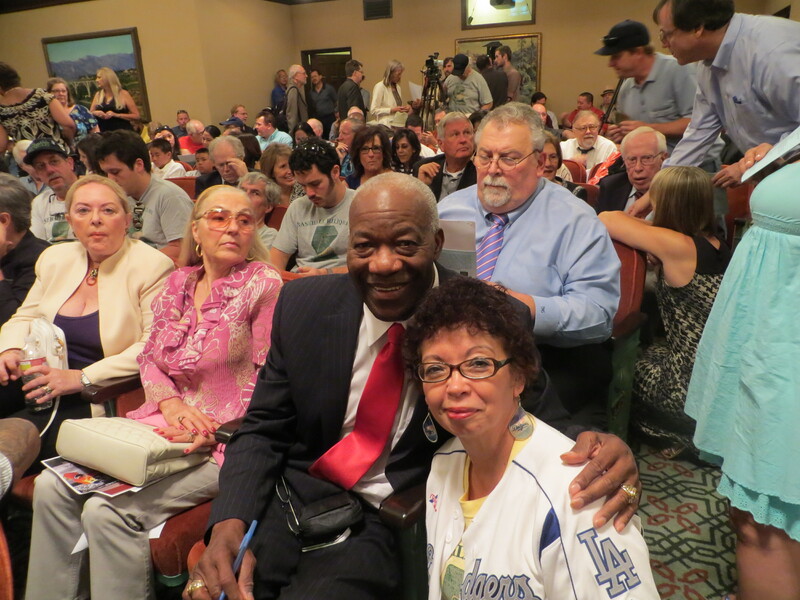 Mudcat Grant was also inducted into the Baseball Reliquary Shrine of the Eternals. 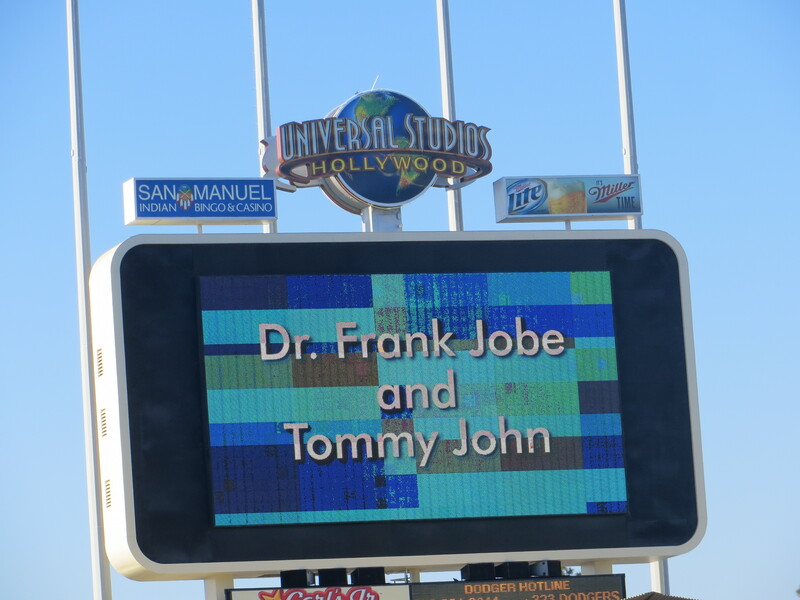 Tommy John introduced Dr. Frank Jobe. 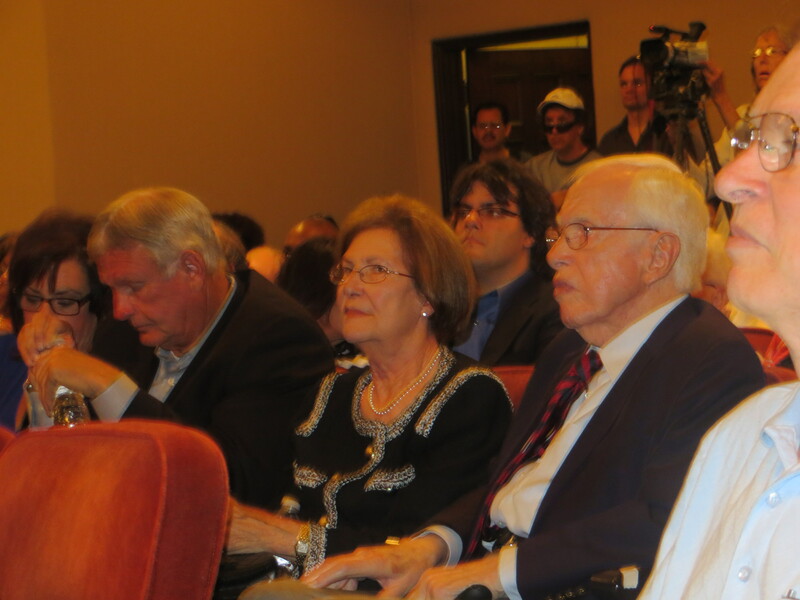 Rest in peace Dr. Frank Jobe. I think The Hall of Fame should have done something for Dr Jobe a long time ago. Dr. Jobe was the greatest man of Sport medicine. Nobody else has contributed as much to the sport as he has. Thank you Dr. Jobe. Here are two videos that I recorded in the Summer but barely uploaded. They are from Manny Mota’s induction into the Baseball Reliquary. I got my ballot package in the mail to vote for the Baseball Reliquary Shrine of the Eternals for the 2013 Election! Each year, the Reliquary’s members elect three candidates from a field of 50 nominees. We can vote for up to nine from the list. The Shrine of the Eternals 2013 Induction Day will be held on Sunday afternoon, July 21, 2013. From 2011, here Maury Wills spending a few minutes with me before his induction into the Shrine in 2011. 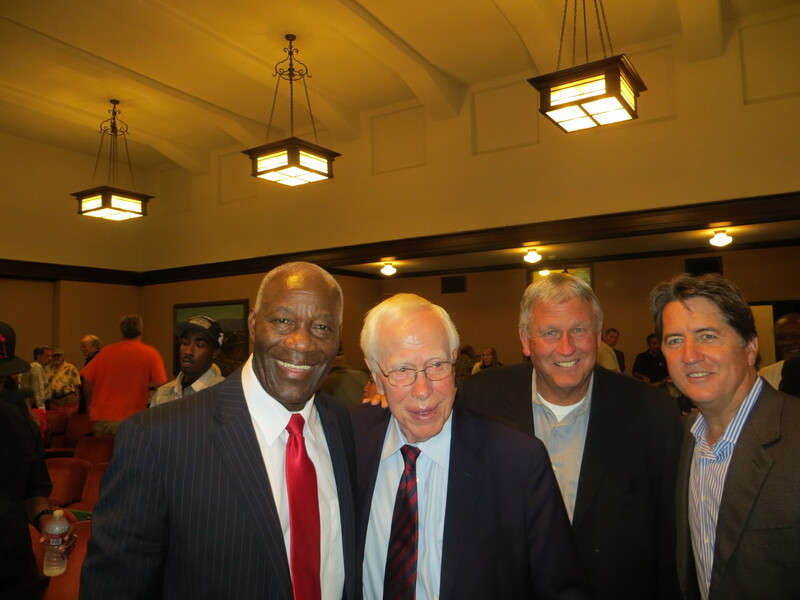 Last year Dr. Frank Jobe, Mudcat Grant & Luis Tiant were inducted into the Shrine of the Eternals. The Tony Salin Memorial Award. In addition to the Shrine of the Eternals inductees, the Tony Salin Memorial Award (presented annually to an individual dedicated to the preservation of baseball history) is given on this day. Among the past recipients have been Peter Golenbock, Richard Beverage , Mike Shannon, Stew Thornley, Paul Dickson and Dave Kelly in 2012. 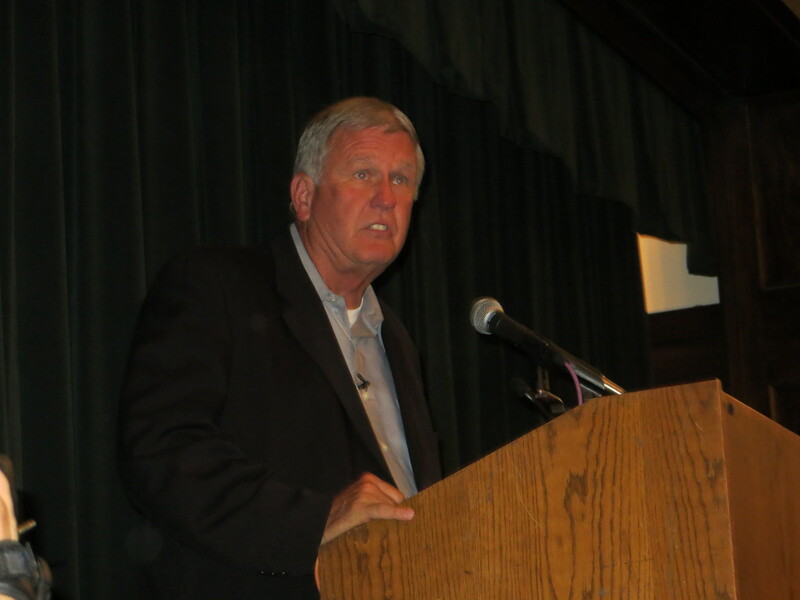 Richard Beverage accepting the Tony Salin Memorial award in 2007. Master of ceremonies Terry Cannon greets Paul Dickson as he comes to the stage to accept the 2011 Tony Salin Memorial Award for his commitment to the preservation of baseball history. Hilda Award. Another award given is the Hilda Award (named in memory of Hilda Chester and honoring a baseball fans exceptional devotion to the game) is given on this day. 2001. Rea Wilson. In the Summer of 2000, at the age of 77, Rea Wilson of Seal Beach, California made a pilgrimage to all thirty MLB ballparks traveling alone in her van. Hilda Award. Cowbell awarded to Rea Wilson. 2003: Ruth Roberts. In 1963, she wrote “Meet the Mets,” which is played before every Mets home game. In fact, the song is such a staple among generations of New York baseball enthusiasts that some diehard Mets fans have requested that, upon their death, “Meet the Mets” be sung at their funeral before their casket is closed. 2006. Bill Murray. Comedian and actor Bill Murray, the first “celebrity fan” to receive the Hilda, is a Chicago Cubs fan extraordinaire and part owner of the St. Paul Saints (a franchise in the American Association, an independent professional baseball league), for whom he also serves in the capacity of team psychologist. 2007. Cass Sapir. In 2006, documentary filmmaker Cass Sapir crisscrossed the nation in an old Honda, traveling to every Minor League and Major League ballpark, a total of 189 stadiums, in an astounding 157 days. The Cambridge, Massachusetts resident used his self-financed road trip as a means of raising money and awareness for the Jimmy Fund, a Boston-based charity that raises funds for cancer research. 2008. John Adams. John Adams of Brecksville, Ohio was celebrating in 2008 his 35th consecutive year of pounding his bass drum in the bleachers at Cleveland Indians games, come rain or shine. Adams has twice thrown out a ceremonial first pitch at Jacobs Field and was honored in 2007 with his own bobblehead night (naturally, it was designed so that his arms could be bobbled up and down to bang on a toy drum). 2010: Sister Mary Assumptazaba. Sister Mary’s passion for baseball has been focused largely on her beloved Cleveland Indians. She wrote and edited her own segment, “Tribe Habit,” for the ABC television news affiliate in Cleveland. Baking cookies for the Indians players since 1984 eventually led to a small business operation called “Nun Better” Cookies, with the profits helping support her religious community. She also had two cameo appearances in the 1989 film, Major League, and even has her own baseball card (made by Upper Deck in 1997). 2011: Chris Erskine. 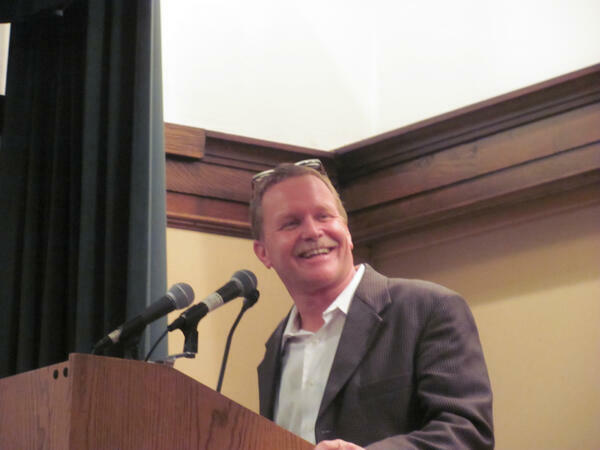 Chris Erskine’s weekly columns in the Los Angeles Times, “Man of the House” and “Fan of the House,” have been widely lauded for their wry insights and (often) tongue-in-cheek celebrations of fatherhood, life in the suburbs, and sports as a way of establishing relationships with children and sharing a distinct sense of belonging with others in his community. Whether ruminating on the experience of being a volunteer coach for Little League baseball or rhapsodizing about a Chicago-style hot dog at an Angels game, he examines the myriad ways that baseball allows fans to pass time and to connect with their personal histories. 2012: Arnold Hano. Arnold Hano attended his first baseball game in New York in 1926 as a child, and saw all the greats of that era from his seat in the bleachers. Memorable moments he witnessed in baseball history include the last game Babe Ruth pitched for the New York Yankees (1933), Don Larsen’s perfect game in the World Series (1956), and Sandy Koufax’s first no-hitter (1962). His account of the first game of the 1954 World Series between his beloved New York Giants and the Cleveland Indians,A Day in the Bleachers, is a classic of baseball literature and one of the most enduring expressions of the meaning of fanhood, especially of those who sit in the bleacher seats. Arnold Hano accepting the Hilda Award in 2012. 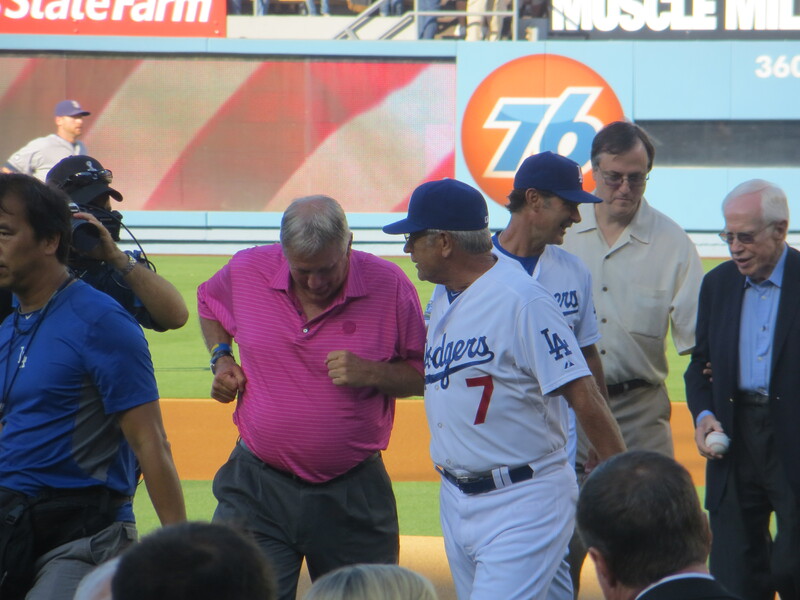 Terry Cannon was at the Dodger game against the Pirates on Friday night. He said “I got something for you” I thought he was going to lend me the book (Baseball) Diamonds are a Girls Best Friend that I could not check out from the Burbank library. I was shocked when I read the letter. I am also so honored. Those are giant shoes I am following. Thank you so much Terry and Mary Cannon, the board of directors and the membership of the Baseball Reliquary. I’ve been grinning from ear to ear since I found out the news!